March 18, 2015 March 18, 2015 Raman Gill - Creating through InspirationsLeave a Comment on Magic of Little Joys !!! Magic of Little Joys !!! We all have been gifted by the beautiful things around us. There is a magic in every little thing that will spring up your happiness. Feel them with your smile, breath, vision and warmheartedness. Don’t let them go unnoticed and you will see the essence of happiness that will shimmer. The beautiful world is open to you to admire like a beautiful tapestry staged with amazing motifs of nature and wealth of positivism. 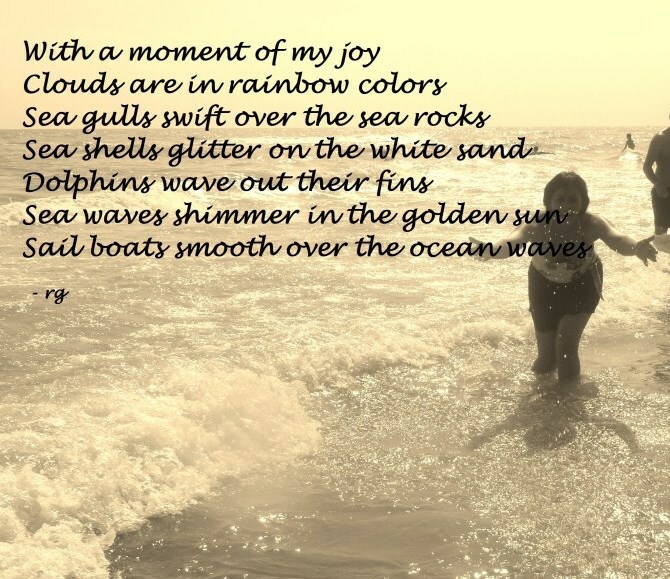 This photograph was taken at one of my vacations in Italy at Riccione Beach and I sang the song of joy !!! Previous The drive to paint and write ! !